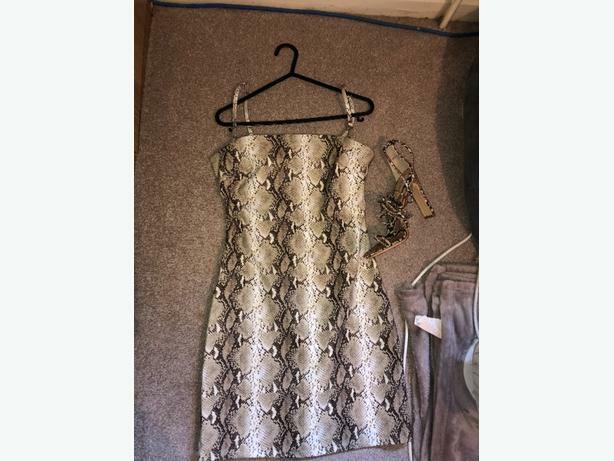 Size 8 BUT will fit size 10 as it's stretchy material. The quality and material is beautiful but I simply won't wear the dress. Only ever tried it on so practically brand new. I paid £70 all together for the dress but it's worth the money, it's great quality.